On a normal, middle-of-the-year day, I want my students to come into my room in the morning knowing it is a calm place, a cooperative place, a place where we work hard, try new things, and have fun. A couple of years ago, I asked myself, half jokingly: Could I get that "middle-of-the-year" tone started within the first ten minutes of the first day of school? Could I find a way to slow down, shove my laundry list of activities and procedures aside temporarily, and show my students right from the get-go what this classroom should look like, sound like, and feel like? The thing is, it's not something that I get a lot of chances to try. I mean, really, I get ONE first-day-of-school per year. 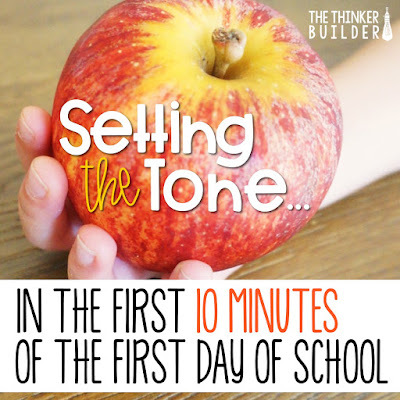 So, after a couple of good cracks at it, here is what I've found to work for setting the tone in the first ten minutes of the first day of school. Prior to students arriving, I put a freshly sharpened pencil at each student's desk, as well as a "first task" that students will work on when they come in. For me, I try to make this first task something that can be done independently and is extremely low-stress. 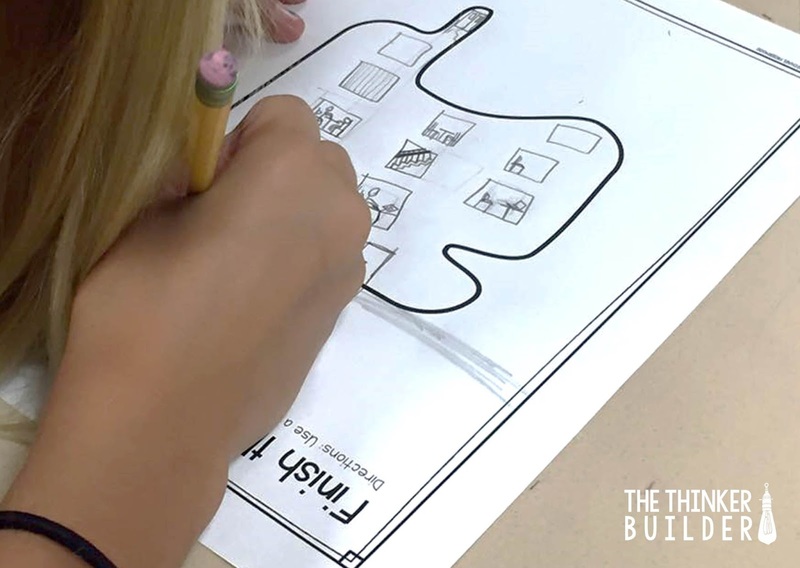 I don't want to have to explain anything to students about how to do their first task. 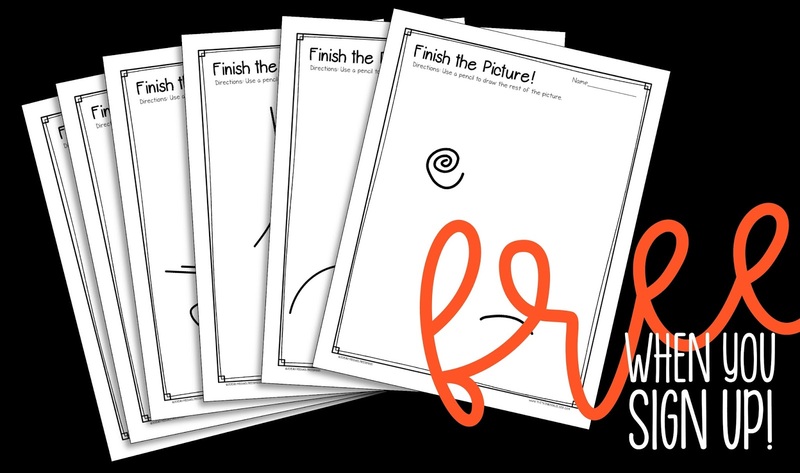 A "Finish the Picture" works perfectly for third grade. You can download six free "Finish the Picture" tasks by signing up for my newsletter below. As each student enters my classroom on the first day, I greet them warmly, and then I ask them to keep their backpack zipped up and to hang it on their cubby hook, then to find their seat and get started. This photo was taken during the first ten minutes of the first day of school in a fourth grade class... like literally, the first ten minutes. Giving students a simple but engaging task to do at their seat frees me up to start making personal connections with individual students right away. Still within the first ten minutes, my whole class is sitting at their seats, drawing away, with a nice little hum going. Meanwhile, I'm walking around, kneeling down at different table groups, asking students how they are feeling about third grade, who they already know, what they are going to eat for lunch, and so on. 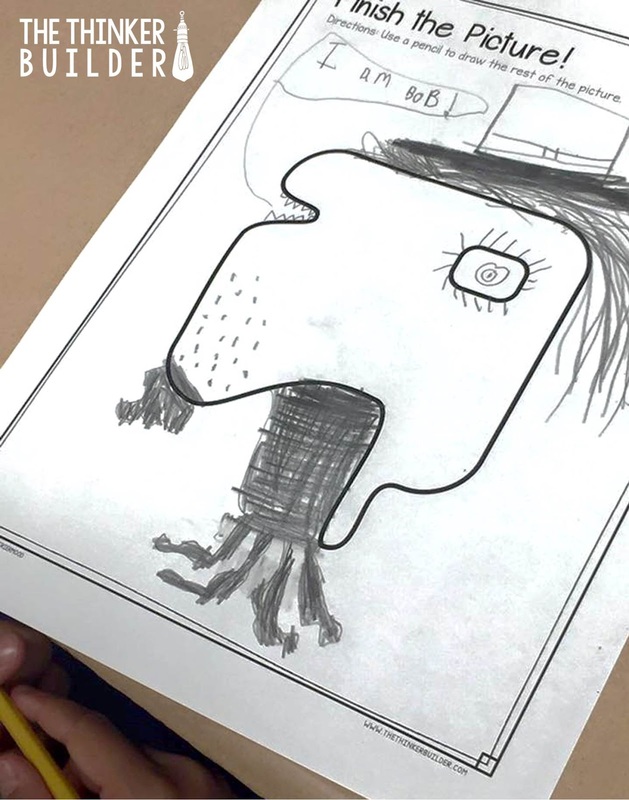 After a few minutes, I ask the class to share their drawings with their table groups and to talk about how their drawings are alike and different. In the grand scheme of things, I really don't care one bit about these drawings. It's the talking I want. Communicating with each other right off the bat about their ideas. Pretty soon, I'll start introducing some of our classroom procedures, and eventually I'll let them go unpack their shiny new backpacks. 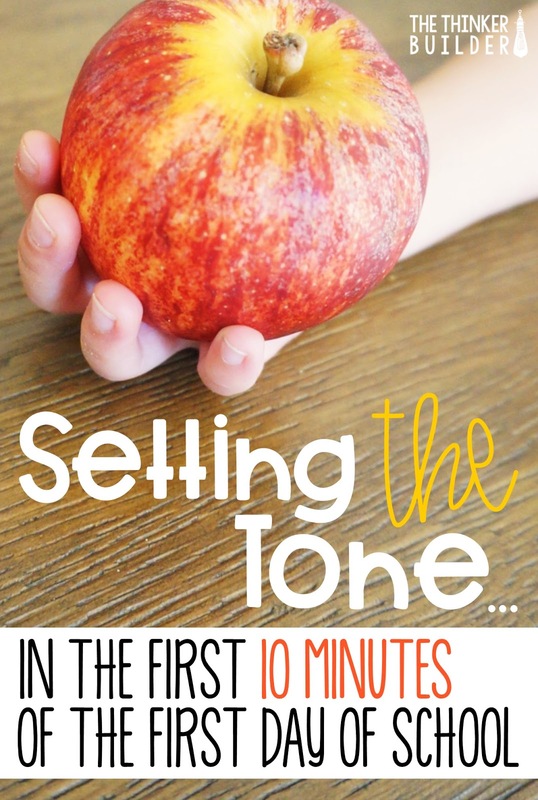 But in those first ten minutes, I've shown my students that we get started working right away, that I care about them and what they have to say, and that sharing our ideas and thinking with each other happens a lot. 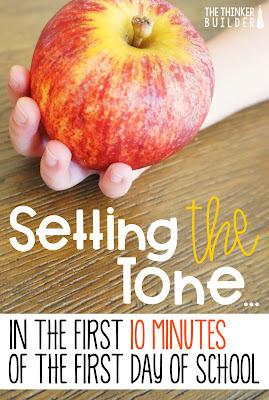 How about some activities for when those first ten minutes are over? 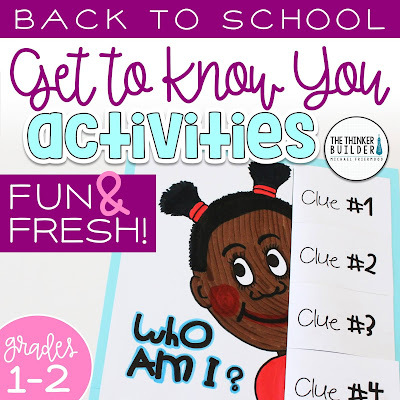 Check out some of my back-to-school resources, including my popular Get to Know You Activities (Gr. 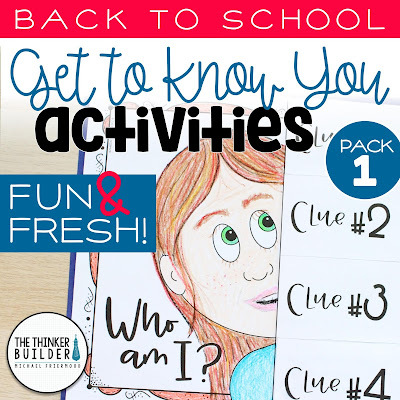 3-5) or Get to Know You Activities (Gr. 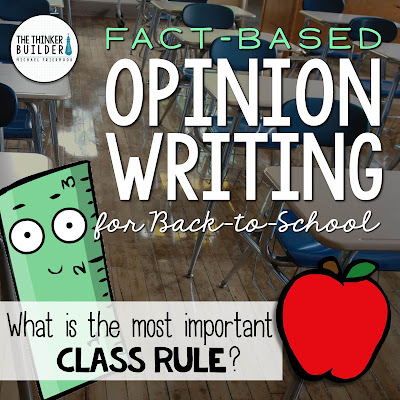 1-2), and my Opinion Writing activity to help create your classroom rules.